Kerala temple tours offer journey into some of the sacred temples of Kerala. 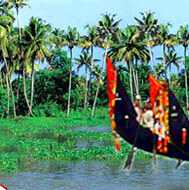 Tours to Kerala temples bring you close to some the revered shrines in Kerala. Kerala temple tours are an attempt to explore some of the most revered temples in Kerala. Kerala, "God's Own Country", is a land of many popular temples where devotees come in large numbers all round the year to pay their honor and homage to the deities. 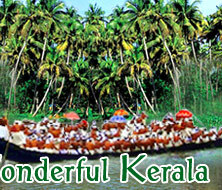 Kerala temple tour is a sacred journey to some of the most significant and famous temples of Kerala. This mesmerizing state has a fairly rich heritage where temples of several gods and goddesses dot the landscape of the land. The temples of Kerala are significant not only for their religious importance but are equally noteworthy for their architecture. Some of the temples in Kerala are huge and richly decorated while others are small with simple dcors and outlay. Whatever is the size or scale, the temples of Kerala reflect the religious temperament of the local populace. On your Kerala temple tours, you will come to know about the devotion and religious beliefs of the people. For people with a religious bent of mind, the Kerala temple tour is bound to create a lasting impression. Aranmula Parthasarathy Temple attracts large crowds of devotees. The famous Aranmula boat race is held on the last day of the week-long Onam festival. The Vijnana Kalavedi at Aranmula imparts training in traditional arts, like Kathakali, classical dances, classical music, and Kalaripayattu. 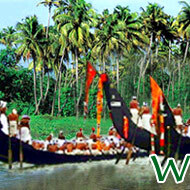 Foreign tourists stay here for long periods to get a firsthand knowledge of the culture of Kerala. The fine murals from the 18th century make this temple a sought-after destination in the list of temples of Kerala. Situated in the small town of Ambalappuzha of Alapuzha district, the Ambalappuzha Temple is one of the oldest in the state of Kerala and is counted one among the important temples dedicated to Lord Sri Krishna. The temple is believed to be built in 790 AD by the local ruler Chembakaserry Pooradam and is known to be directly related to the Guruvayoor Temple in the late 18th century, from where the idol of Lord Krishna was brought here for safekeeping. The temple attracts thousands of visitors during annual festival, held in the month of April. The Mannarasala Temple, built around 16 acres of dense green forest groves, is located 32 km south of Alappuzha and is dedicated to the serpent God, Naga. The temple is the largest serpent temple with over 30,000 images of serpent Gods and hundreds of snakes living around the temple. 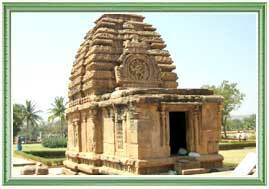 The temple is established with 2 main idols of Nagaraja, the serpent king, and Sarpyakshini, his consort, carved in granite. Childless mothers who pray in the temple are believed to be blessed with babies soon. Ananthapura Lake Temple, located about 14 km north from the Kasargod town on the Kumbla-Badiyadka road, is the only lake temple in the state of Kerala. Sited on a rocky hill in a calm and isolated locale, the temple provides a bird's eye view of the fantabulous scenic beauty of the lush green landscape surrounding it. The sanctum of the temple, the walls of which are decorated with mural paintings, is situated in the middle of the lake that can only be reached by a bridge. The temple holds religious significance of having the Moolasthanam (original seat) of Ananthapadmanabha, the deity of Padmanabhaswamy Temple of Thiruvananthapuram. The Guruvayoor Temple is located at a distance of 29 kilometers to the west of Trichur. The Kerala Guruvayur temple is one of the most respected and popular pilgrim centers. The Guruvayoor Temple Tour will enlighten you about religious beliefs and traditions of the people of Kerala. The origin of the temple goes back to 16th century AD. The temple is dedicated to Lord Krishna. It is believed that Lord Brahma himself worshiped this very idol at Dwarka. One can find idols of Lord Ganapati, Sri Ayyappa and Edathedathy Kavil Bhagavathy also in this temple. The Parthasarathi Temple attracts large crowds of devotees. The famous Aranmula boat race is held on the last day of the weeklong Onam festival. The Vijnana Kalavedi at Aranmula imparts training in the traditional arts like Kathakali, classical dances, classical music, as well as Kalaripayattu. Foreign tourists stay here for long periods to get a first hand knowledge of the culture of Kerala. The Parthasarathi Temple here has fine murals from the 18th century. Sabarimala is one of the most famous pilgrim centers in India. Sabarimala is located on the mountain ranges of the Western Ghats and is accessible only by foot from Pamba (4 km). The Sabarimala temple is dedicated to Sree Ayyappa. Mandalapooja and Makaravilakku are the two main events of the pilgrim season, which falls during the months of October and November. The Sabarimala temple stays closed during the rest of the year except for the first five days of every Malayalam month and during Vishu.